It is told that the great Fionn MacCumhaill had the power of three verses and could inspire his men to follow him into any battle. Embrace his glorious victories with this haunting and soulful brew. 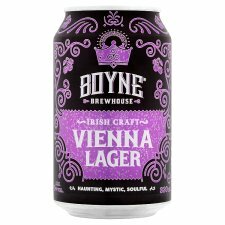 Our brewery is located in the heart of the legendary Boyne Valley, Ireland. Here we craft all our brews using original recipes, our own spring water and a generous dash of Irish craft.